Falcon Windows Ltd - Builder, Fascia/Soffits/Guttering, Windows/Doors/Conservatories based in Hadleigh Road Industrial Estate, Suffolk. Falcon Windows Ltd is a family run business now in its 33rd year specialising in replacement windows, doors and conservatories. We are based in Ipswich and Suffolk bringing the highest standards for less. Realising your home is our best advert we install A rated energy efficient windows in Suffolk at competitive prices backed by a 10 year insurance backed guarantee. Our professionally employed trained teams, variety of styles not to mention our outstanding after sales service is what our customers prefer allowing us to "fit the finest" and "fly high above the rest!" · We're Different! Call us and experience the difference! The Falcon Group was established in 1984 in Ipswich, Suffolk. Our initial market was the manufacturing of high quality, specialist, double-glazed, sealed units. In 1987 we ventured into Windows and Doors. The demand for high quality pvc-u products produced a vehicle for our expansion programme. Our professional approach and quality installations, combined with our highly motivated team's have earned Falcon a reputation for the highest of installation standards. 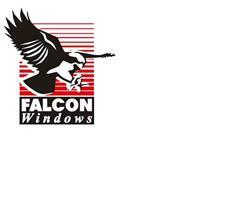 Falcon Windows Ltd. has now developed into a group of businesses that professionally service the home improvement market, such as replacement glass, windows and doors, conservatories, supplied or installed, the delivery of polycarbonate sheeting, glazing bars and accessories and we also have a double glazing maintenance side as well. We also have a fascia and Soffit division where we supply and install fascia,soffits, barge boards, cladding and guttering. It has always been the view of Falcon Windows that the installation is only as good as the team that produces it, from initial sales, surveying and processing to final installation. All installers have been personally selected by the Managing Director of Falcon Windows Ltd.
Ipswich, Stowmarket, Hadleigh, Woodbridge, Felixstowe, Needham Market, Suffolk, Capel St Mary.